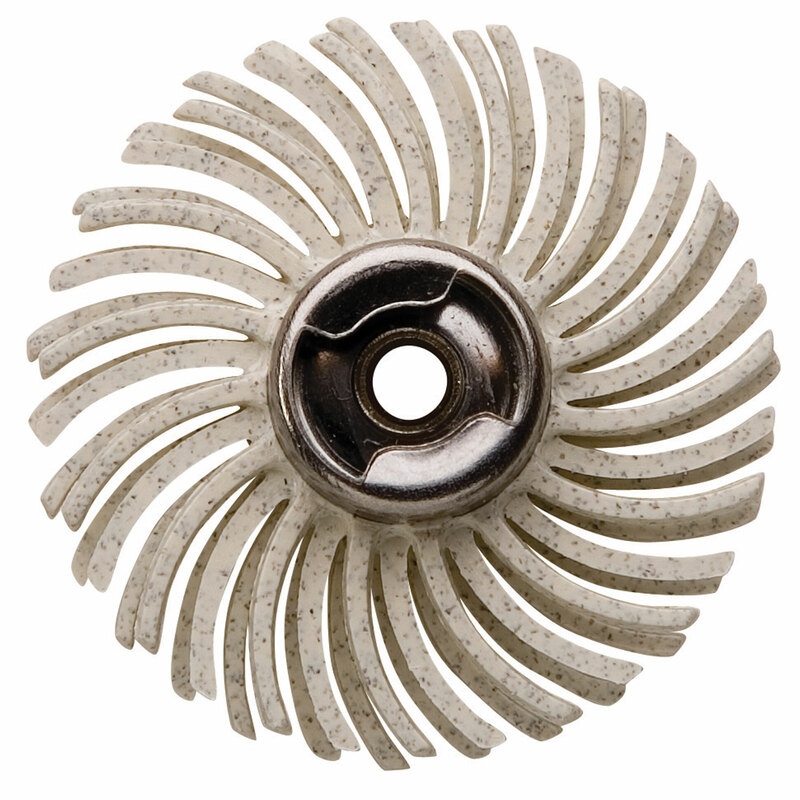 These advanced-technology radial bristle disks are embedded with aluminum oxide grains. They clean, deburr, sand and polish hard-to-reach intricate or flat areas on wood, metal, plastic or ceramics. Use on small aluminum or electronic parts, polishing injection molds, deflashing plastic castings, removing fuzz from wood parts, etc. No compounds, rouges or pastes are required. 1 inch diameter by about 1/8 inch wide. Medium - 120 grit. Use with our #85986 EZ Lock Mandrel (sold separately). Genuine Dremel brand.